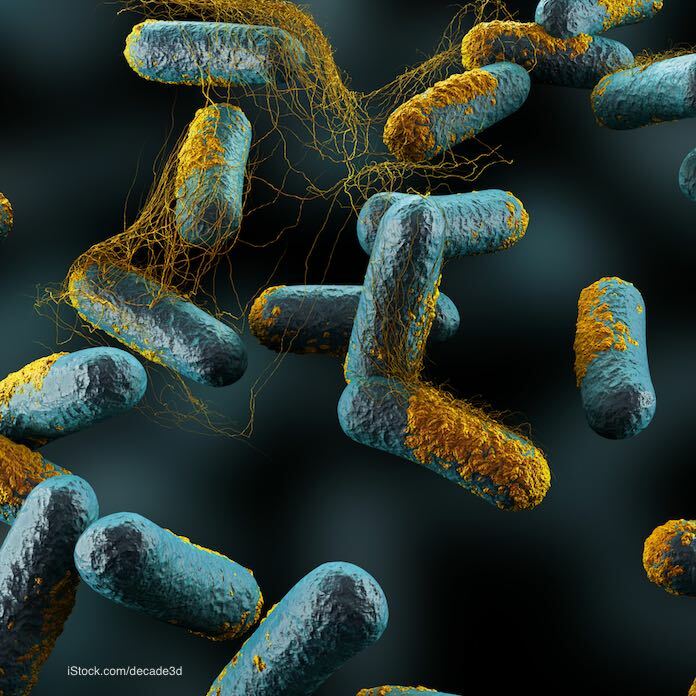 According to news reports, the food poisoning outbreak in Caldwell Parish, Louisiana has been caused by both Salmonella and Clostridium perfringens bacteria. At least 125 people are sick now, up from 50 yesterday. And thirty-seven people have been hospitalized because their symptoms are so severe. One man who attended the fundraiser and allegedly ate the jambalaya at the center of this outbreak has died. But officials do not know if his death is linked to this outbreak and have requested an autopsy. Clostridium perfringens bacteria grow and produce a toxin when the temperatures of food are in the danger zone of 40°F to 140°F. These outbreaks happen often when large amounts of food are prepared. The food may be held at the wrong temperature for a long period of time, or it may be improperly reheated. And the large quantities of food served to so many people at one is a factor too. Caldwell Parish has a population of about 10,000 people. Tow town of Columbia has only about 400 people. With at least 125 people sick in that town, just about everyone knows someone who is sick. Officials have not said if the Clostridium perfringens bacteria or toxins have been found in the food samples taken from the event, or if they come from patient samples. Different individual ingredients are being tested in the jambalaya for both pathogens. These test results will probably not be available until next week. The symptoms of Clostridium perfringens food poisoning include abdominal pain, nausea, stomach cramps, and diarrhea. Vomiting and fever are usually not symptoms of this type of food poisoning. These symptoms usually can start within a few hours of eating food contaminated with the toxin. Symptoms usually go away after about 24 hours without medical care. This illness is rarely fatal. Salmonella is different. The symptoms of a Salmonella infection include abdominal cramps, nausea, diarrhea, vomiting, and a fever. People usually get sick within 12 hours to a few days after exposure to the pathogenic bacteria. The hospitalization rate for a Salmonella outbreak is usually about 20%. People can die from this type of infection, especially if they fall into a high risk group of the elderly, pregnant women, and people with chronic illnesses. If you ate at a fundraiser in Caldwell Parish, Louisiana on Monday, October 16, 2017 and have been experiencing these symptoms, see your doctor. If you do have a Salmonella infection, it’s possible that you may have complications from this illness in the future, which could include high blood pressure or arthritis. And officials need your help to solve this outbreak, whether or not you are sick. Call the health department at 800-256-2748, if you have questions or concerns. If you or a loved one have been sickened with a Salmonella of Clostridium perfringens infection after eating jambalaya at a fundraiser in Caldwell Parish, Louisiana on October 16, 2017, contact the lawyers from our experienced legal team for help at 1-888-377-8900. Pritzker Hageman, America’s food safety law firm, successfully represents people harmed by adulterated food products in outbreaks throughout the United States. Its lawyers have won hundreds of millions of dollars for survivors of foodborne illness and in cases of wrongful death, including some of the largest verdicts and settlements in American history. The firm’s recent trial victory on behalf of a child with coli poisoning and hemolytic uremic syndrome is the biggest recovery of its kind. The firm also publishes Food Poisoning Bulletin, a respected source for food safety news and information. Pritzker Hageman lawyers are regularly interviewed by major news outlets including the New York Times, CNN, and the Wall Street Journal. In addition, the firm represents people harmed by pathogenic microorganisms in Legionnaires‘ disease, surgical site infection and product liability cases.